Have you ever experienced building, constructing, or repairing something but you do not have the appropriate tool to get the job done? It is very stressful, right? Not only does it take too much of your energy, but also your precious time. If you are looking for the best air impact wrench then you came to the right place. If you are still using a manual winding wrench to loosen or tighten nuts and bolts, you are just wasting your time. That kind of wrench is already outdated. With the evolution of technology, an air impact wrench has already been invented to replace the traditional models which cannot perform certain applications anymore. With this new tool, you will surely be able to do anything that you want to accomplish. What is Air Impact Wrench and How Does It Work? If you are a newbie in the world of home equipment, an air impact wrench is also known as an air wrench, air gun, torque gun, or windy gun. In simple terms, it works by accumulating energy in a rotating reservoir and then delivers this energy to produce a powerful output for your home or industrial purposes. It is an automated power tool that has a very high torque making it very efficient. 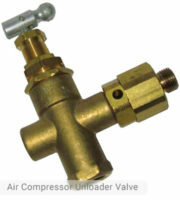 Because it is a pneumatic tool, you would need an air compressor to supply the air that it needs to operate. You can say “And what about electric impact wrench?” Read more about our comparison between Air impact wrench vs Electric impact wrench. 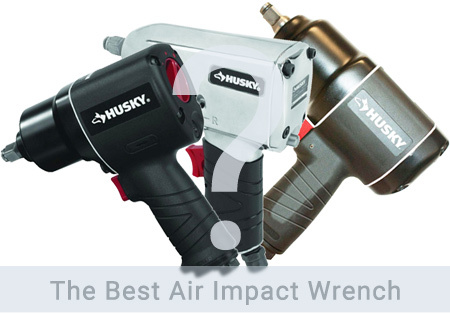 What is the Best Air Impact Wrench? We always want what is best for us. More often than not, people would look for all possible options before they purchase something. This is to ensure that we get what we deserve. Such is the case when buying the best pneumatic impact wrench. To get the best one, you need to consider certain factors. One of the most important things to consider is how much torque the air wrench contains. Needless to say, we want the strongest one especially if we have high-volume tasks. The stronger the wrench is, the more satisfying is the output. Also, the speed at which we will be able to finish a certain task depends on the strength of the pneumatic impact wrench. Husky impact wrenches can reach up to 800 ft.-lbs. 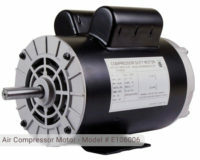 of torque which is more than enough for industrial applications. Another thing that is considered is the weight of the tool. Because the tool is hand held, it is important to make sure that it has a light weight to avoid too much strain on the muscles. If you are going to perform lots of tasks for a long period of time, your pneumatic impact wrench should be very portable. Husky’s units are generally light. The housing is also made of light but durable materials. They are designed so they can be gripped comfortable by the user. The size of the air compressor is also an issue. 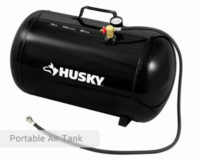 As mentioned before, you need Husky air compressor to power your pneumatic impact wrench. Most air impact wrenches would require the storage tank of the air compressor to be at least 20 gallons. This is to ensure that the compressed air that will be delivered to the tool is enough to perform its intended use. The best air impact wrench would not require overly huge storage tanks because it would not be very convenient for the general public. Another factor that you need to consider is the drive size of the air wrench. The larger the drive size, the more torque will be delivered. As such, we want pneumatic impact wrench to have a large drive size that is still appropriate for the overall size of the tool. A higher torque will also help you finish your tasks in a shorter period of time. It would not require too much effort because the torque is powerful enough to handle the job. The budget of the consumer is another important factor. The best air impact wrench should not be too expensive. There are a lot of wrenches in the market right now that are very affordable. They offer the same quality of service, if not better, compared to more expensive ones. Nowadays, it is not practical to spend too much on one tool because once they get damaged, you will surely regret investing on it. The materials that were used to create the tool or the housing of the wrench is also critical. You should make sure that the materials are durable because you need something that can withstand the test of time. We all want to get our money’s worth so we do not want to buy something that would easily get damaged. These are the essential things that you need to include in your long list of factors to consider. When you carefully thought of these things, you will be led to the right direction. Do not overlook these issues because they can spell the difference between buying the perfect tool and investing on something that is not usable. A lot of brands have already released their air impact wrenches but Husky is leading the market right now. 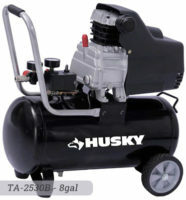 All units of Husky were intricately designed to accommodate all sorts of automotive tasks and DIY projects. The most popular Husky Impact Wrench Models: H4430 (300 ft. lbs. ), H4455 (650 ft. lbs), H4480 (800 ft. lbs). They are all very portable and has a lightweight housing making it convenient for users to carry it around all day long. The best pneumatic impact wrench of Husky can deliver high torque which increases your productivity. It comes at a very affordable price that you can easily squeeze into your budget. 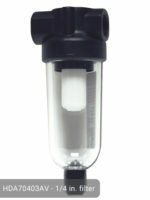 It is a good investment for people who want reliable, efficient, and long-lasting air tools. To obtain the maximum potential of your pneumatic impact wrench, you should know where you are going to use it before buying one. It is much better to study first and explore all your options so you can be sure that you will purchase something that will work best for you. Do not be fooled with everything that you see online. It is still better to determine the best air impact wrench using your own eyes. Only then will you be able to see the wonder that is air impact wrench.